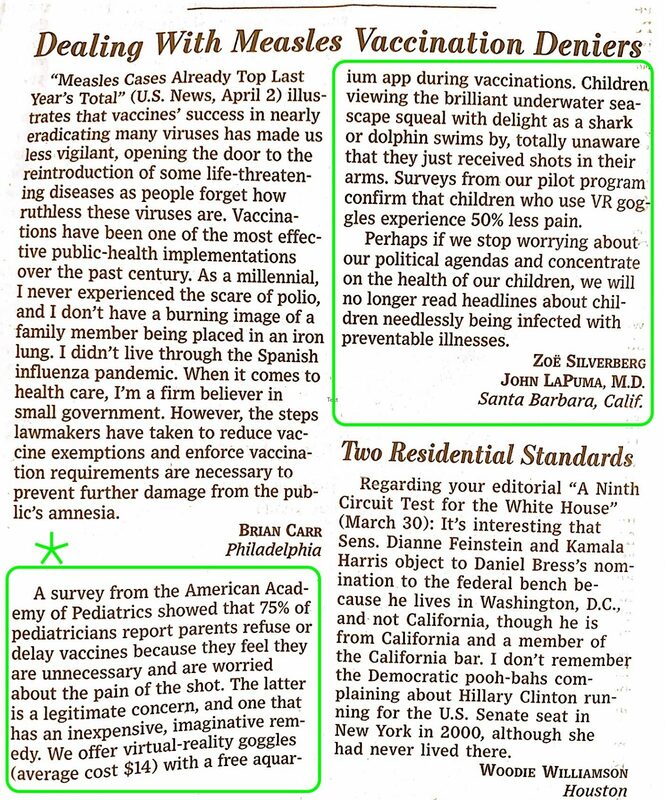 Happy to have our letter on nature therapy and virtual reality for pain relief during injections for flu vaccination published in the Wall Street Journal: credit to Zoë Silverberg and Mark Silverberg Md @Sansum Clinic for their creativity and imagination, and dedication to pediatric health. More information on this pilot program on the website to describe its development and application. Pleased that it is now a model program for Sansum, and 14 viewers are now in use. https://www.wsj.com/articles/dealing-with-measles-vaccination-deniers-11554487445.